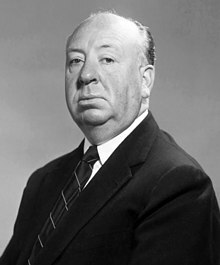 Alfred Hitchcock se yon reyalizatè, pwodiktè, senaris sinema ak televizyon. ↑ 1,0 1,1 1,2 et 1,3 McGilligan, Patrick (2010-10-19). Alfred Hitchcock: A Life in Darkness and Light (Google eBook). New York: Harper-Collins. pp. 98, 764–777, 808. ISBN 978-0-06-202864-8. ↑ « Museum Of Television & Radio Screening Series, The: Murder In The Living Room: Hitchcock By Hitchcock, Package 1: Unveiling Vera Miles ». paleycenter.org. Archived from the original on 2016-05-08. ↑ « The Complete Hitchcock: Television ». Paley Center for Media. Archived from the original on 2016-04-14. ↑ Vernon, Terry (1962-02-06). « Tele-Vues ». Long Beach Independent (Newspapers.com). p. 30. Retrieved 2015-06-01. Paj sa edite a 11:46, 12 out 2017.